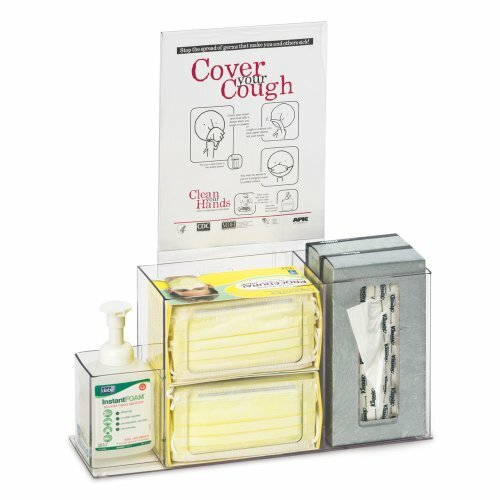 An economical organizer for infection prevention supplies. The sign holder is included and is intended for you to add your own message about how to prevent the spread of infection. Can be mounted to the wall or placed on a tabletop. If you have any questions about this product by Clearform, contact us by completing and submitting the form below. If you are looking for a specif part number, please include it with your message.